OMG Ricky Gervais and Mos Def are PERFECT! How about Rosario Dawson as Rosie? And, in keeping with the popular opinion of the AG cast, Morgan Freeman as Anansi. Thanks, and yeah Morgan Freeman would have to be Anansi. and yes, ricky gervais is perfect for graham coats! Well darn, I was gunna suggest Brock Peters as Anansi, but turns out he just passed away. A great actor if there ever was one. Maybe Avery Brooks for Anansi would work as well. "I'd like to be a wolf. Not all the time. Just sometimes. In the dark. I would run through the forests as a wolf at night," said Richard, mostly to himself. "I'd never hurt anyone. Not that kind of wolf. I'd just run and run forever in the moonlight, through the trees, and never get tired or out of breath, and never have to stop. That's what I want to be when I grow up..."
And I don't know who this Lenny Bruce person Neil is always on about is, but seeing as Neil always says he was thinking about him as he wrote, maybe he'd be a good choice for Spider or Fat Charlie. Although Mos Def is pretty much perfect for Spider. Relax, you fiends! I'm only joking. He's a local lounge singer here, and he's exactly who I was picturing for Anansi, in this book at least. Mos Def was exactly who I had in mind for Spider, but as for the other characters, I don't know enough British actors, but I would like to give something to Paterson Joseph (The Marquis de Carabas from the Neverwhere miniseries) because he rocked so hard in that. However, I think he's probably too old or too young for any of the parts, as I saw them. Also, Keith David as Tiger, or at least the voice of Tiger. i think lenny bruce is dead. and white. love all the ideas for the characters from spam. i can't see morgan freeman as anansi either though. how about a latexed cameo from mr gaiman. are you thinking of Lenny Henry? the British comedian? Funny how I kept thinking about Cab Calloway while reading Anansi Boys. oh WAY yes. seance, anyone? can we have a bit part for Michael Madsen? I just like him. I'd disagree with your thoughts on Morgan Freeman, I think he did a fantastic thing playing God in Bruce Almighty in a very playful way. But moreso, I wholly agree with your idea about the guy from The Shining, unfortunately the greath Scatman Crothers has passed into the great beyond. Mos Def? Right on. I like Mos Def or Don Cheadle. i don't remember the book mentioning they were black...because at first i was thinking Zach Braff (Scrubs, Garden State) as Fat Charlie and whoever played Zach's brother on the show, who used to be on the show Ed. i wuz thinkin' maybe denzel washington could play anansi. ugh - i thought i was at least slightly 'worldly'...it never occurred to me that anyone looked any different than me! 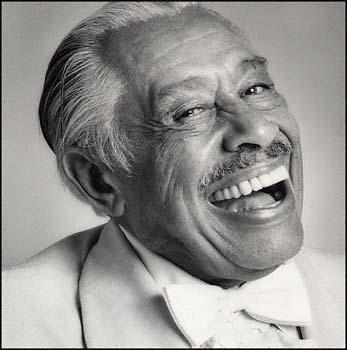 i totally love cab calloway as anansi (except for the dead part). 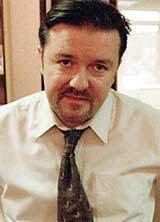 funny about that gervais guy some suggested for graham. i didn't know who he was, but one of my picks was the guy who plays in the US version of the same show! i also thought william shatner would make a good graham. quentin tarantino might be fun too. janine garafalo would be a good daisy (is she getting too old though? ), and i like that chick who's on ER, who starred in Bend it Like Beckham for rosie - what's her name? if eddie murphy wasn't already a charicature of himself, i could see his axel character from 48 hours moving nicely into spider. 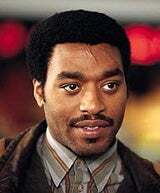 Perfect - i was thinking of Cab Calloway for Anansi, and Lenny Henry isn't Lenny Bruce, but perfect for fat charlie! maybe puff daddy for spider????? ?